NEW DELHI: The head of India's giant Sahara group surrendered to police Friday, two days after the Supreme Court ordered his arrest over delays in repaying billions of dollars illegally collected from small investors. Subrata Roy �willfully submitted himself� to police in Lucknow, capital of northern Uttar Pradesh state where the group has its headquarters, Sahara's executive director told a New Delhi news conference. �As a law-abiding citizen of the country, this morning he willfully submitted himself to Lucknow police. He is co-operating with the authorities,� said Seemanto Roy, son of Subrata Roy. On Tuesday, the court ordered Roy's arrest over delays in repaying money collected from rural savers through bond sales. Sahara, a famous name in India through its former sponsorship of the national cricket team, raised some 200 billion rupees ($3.2 billion) from millions of savers in a process judged by authorities in 2012 to be against the law. The Sahara empire extends from a stake in a Formula 1 racing team to a sprawling Indian luxury township, and once included the iconic New York Plaza Hotel. Roy's lawyers Friday asked the top court to withdraw the arrest warrant but the request was turned down and the matter was listed for hearing next week. 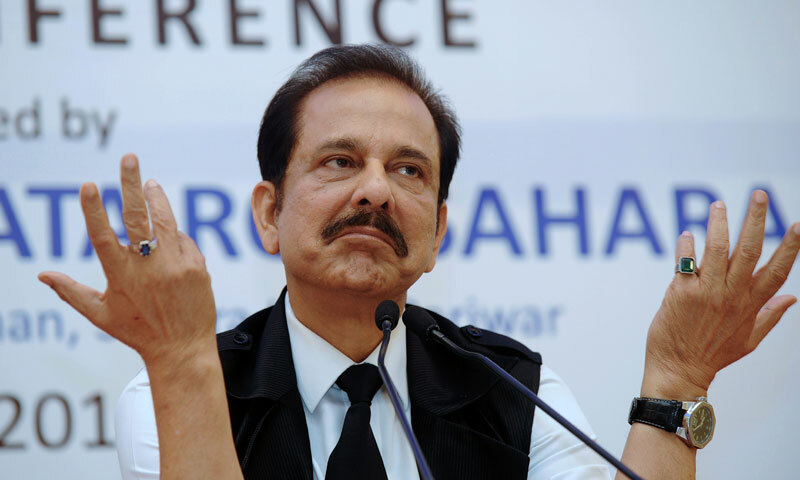 Sahara's woes began in 2008 when it shut operations as India's biggest non-bank deposit-taking firm on orders of the court, which was worried about the soundness of investments in which money was being parked. Observers say much of Sahara's fundraising success rested on the fact vast numbers of rural Indians have no access to banks and no other place to put their money than in poorly regulated non-bank institutions.